Ed Alton’s music has maintained a constant presence on prime time TV for nearly 30 years. 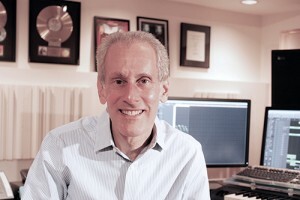 To date, he has composed scores for over 530 episodes of 31 different prime time network TV series. For 21 of those series he also composed the Main Title themes. Daily Variety recognized Alton as one of TV’s top theme composers when it listed him as #5 among Nielsen’s Top 90’s TV Themesters. His career has been distinguished by numerious accolades including five ASCAP Top TV Composer Awards, an Emmy Nomination, and several Gold & Platimun record awards. For the stage, Alton has collaborated with authors Billy Van Zandt & Jane Milmore to score the musicals “A Night at the Nutcracker” “The Pennies” & “Merrily We Dance & Sing”. One of the most fascinating aspects of Ballerina Black is how this California indie-rock band conjures such a dark melancholy, amid sunny skies and bright beaches. These Angelenos are frequently mistaken for an English act, which explains why they had such a successful reception on their U.K. tour last summer.With a sound described as Mope-Rock or Grave-Wave, Bobby Moynahan manuvers the morose corners of the post-punk 80’s with grand melodies. Supported by long-time friends and members, bassist Esli Sugich and expansive synths and guitars from Scott Eton, the guys have accumulated a wealth of material; dating from 2010. 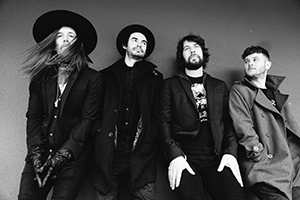 The band has had the opportunity to open up for the likes of Interpol and Silversun Pickups in their hometown’s Greek Theatre. Pitted as the next Cure, nobody captures such a reminiscent sound in a more unique and honest way.The band anxiously prepares to deliver their next EP “East Linus” by the end of Spring 2016. Copyright © 2019 ratedthefilm. All rights reserved.